They may still be in the “soft opening” phase, but it has been full-steam ahead for the owner and staff at Rideau Street’s Uji Café, which opened its doors just one month ago. A first of its kind in the city, Uji Café is a Japanese coffee and dessert shop that boasts an array of decadent Japanese cheesecakes, tarts, cake rolls, and mille crepes (a sky-high Japanese-French fusion dessert that sees multiple stacked crepes held together with thin layers of flavoured whipped cream). City Bites Insider caught up with marketing manager, Alice Seah, to hear more about Uji Café’s ambitious short-term plans. You’ve been in the “soft opening” phase for a month now. Do you have a date set for a grand opening? Not yet. We’re developing new menu items for spring and summer, so we want to wait until those are ready before we do a big launch. Right now, the café serves desserts and hot drinks. The plan is to add breakfast and lunch items and cold drinks before we announce the grand opening. Our head chef, who is Japanese, is in Japan but will be coming back in April with new menu items and recipes. We’re holding off until then. Where did the idea for a Japanese café come from? The owner is really into the Japanese and Korean cultures, so he travels to Japan at least once a year. 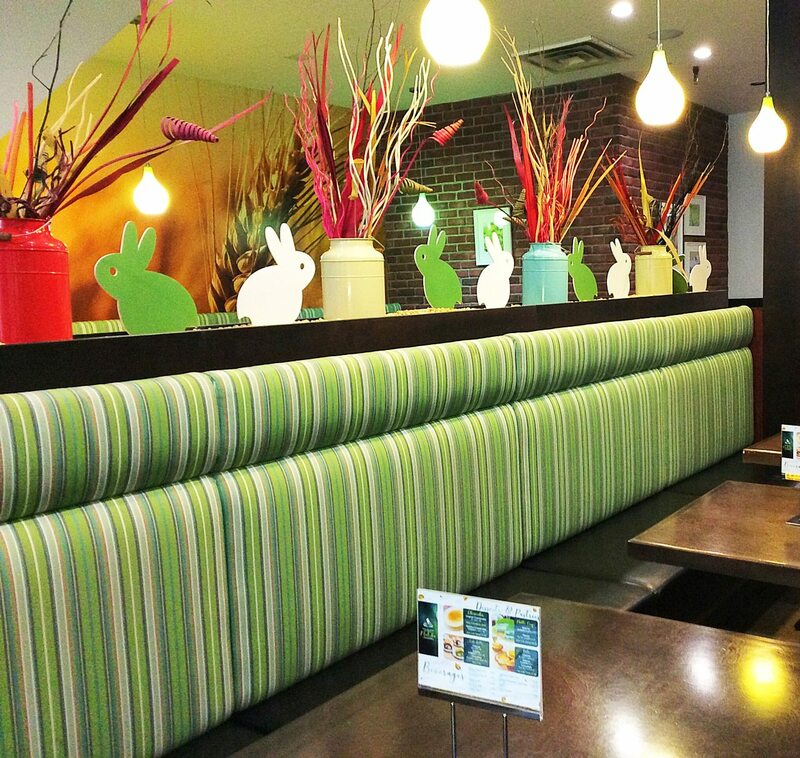 Looking around Ottawa, he saw a market opportunity — there are no other cafés like this in the city. Why open on Rideau Street? Ottawa University is right here, and lots of government offices are within walking distance. That’s why we want to expand the menu to include breakfast and lunch items — people can stop in for breakfast or lunch rather than just thinking we only have tea, coffee, and dessert. What menu items have been most popular so far? The mille crepe has been really popular. It isn’t very common here, so people are really excited to try it. We’re doing it in the mango and matcha flavours. It’s labour intensive — you make each crepe, you make the whipped cream, which is slightly sweet, then you layer the crepes and whipped cream until you have a tall cake made up of so many thin layers. We can’t keep up with demand! The Japanese cheesecake has also been selling really well. It is very different from a western cheesecake — much lighter and fluffier. The cheese the chefs use is less dense, and they fluff up the batter. It’s also baked in a water bath. How did you choose the Japanese desserts to include on the menu? When he decided to launch the Uji Café, the owner travelled to Japan and formed a partnership with one of Japan’s matcha tea suppliers in Uji, which is the area where matcha originated. That company sent a Japanese chef to Ottawa to develop our dessert recipes and train our kitchen staff, then he returned to Japan. 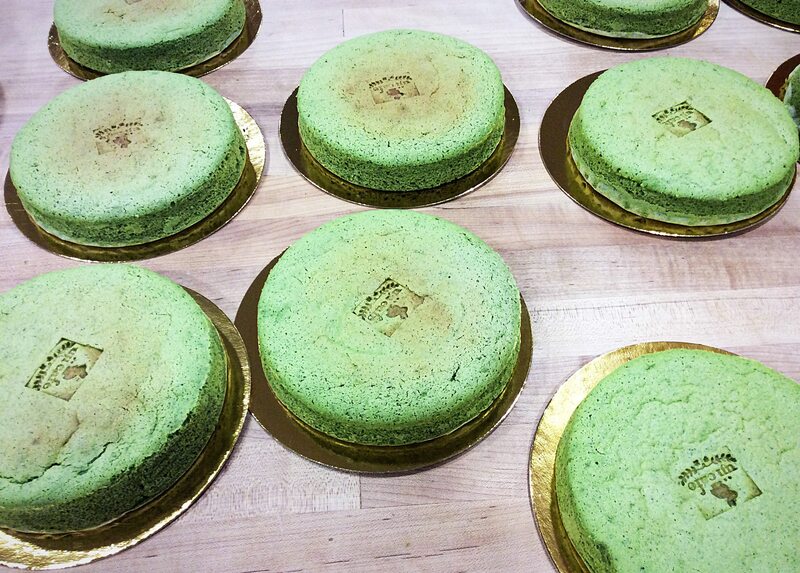 We knew we wanted to include a lot of matcha-based desserts because it is such a distinctive taste of Japan. All of the matcha green tea that we use in our teas and desserts is directly imported from Uji. I notice that many of your staff are Japanese. Yes, we wanted staff to truly understand Japanese culture and be able to answer questions about our teas and menus. About 80 percent of our staff are Japanese and the remaining staff are either studying Japanese or are very interested in the Japanese culture. Having mostly Japanese staff also helps when the chef travels to Ottawa because he can mostly communicate with everyone in Japanese. We also have non-Japanese chefs who are knowledgeable about baking. Tell me about your teas. I see Japanese green tea and matcha lattés are both on the menu. Are matcha lattés just for the North American market or do you see lattés in Japan? Japan is known for its tea, but there are many Japanese coffee shops and they serve different types of coffee and tea lattés. Give me a quick matcha primer. Is it the same leaves for all of your recipes? Not at all. We use matcha tea leaves for the tea, but the lattés are made using a special powder that is specifically for lattés. Another kind of matcha powder is used for baking. 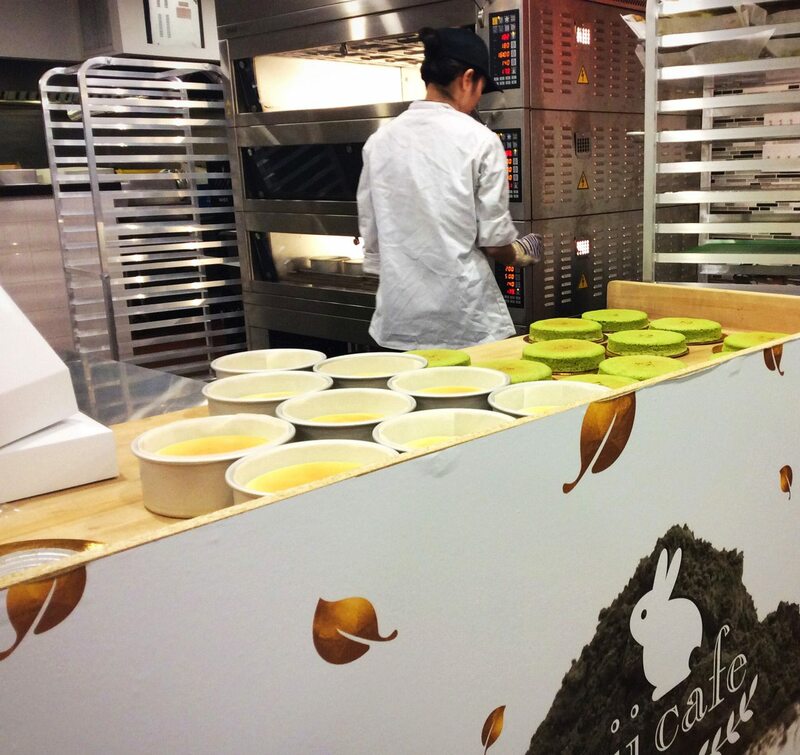 The tea supplier provides all of the specialized types of matcha. 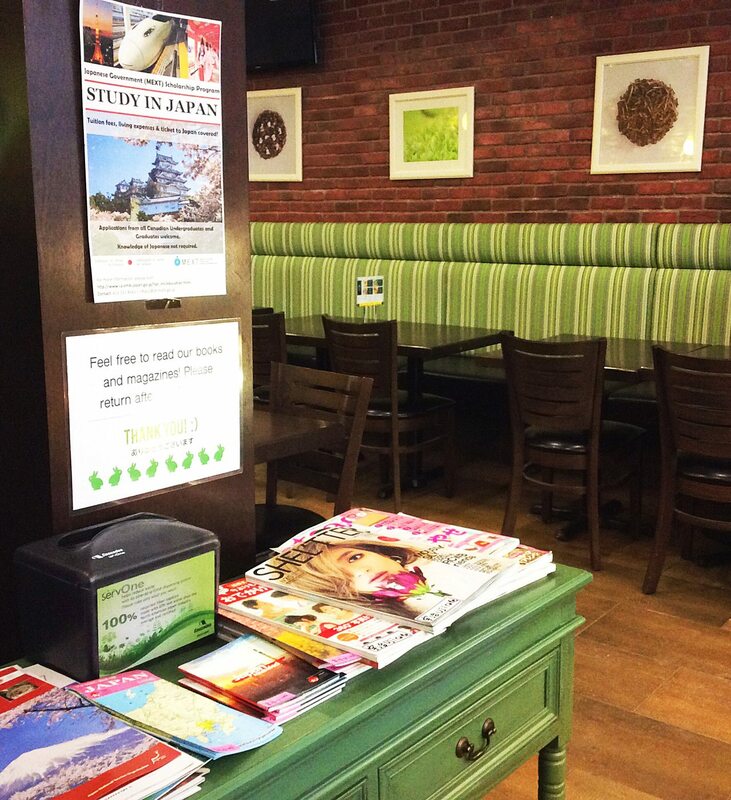 I love that there’s a magazine stand at the front of the café. That was our owner’s idea. The café is quite big [around 60 seats] so we want people to stay and hang out. They might be doing work or visiting with friends. But if they are taking a break, we want them to have something to look at that makes them feel part of the Japanese culture. We ordered the magazines from our Japanese partner and they ship them over. They’re all in Japanese, but you don’t need to understand them to enjoy the fashion or travel pictures. We’ve also got brochures from the Embassy of Japan for people interested in travelling or studying or working in Japan. Have you been surprised at how busy the café has been so far? I knew it was the first café of its kind in Ottawa, so I knew people would talk about it — I anticipated that. But the response has been better than I had imagined. People have been tagging us when they take pictures of our food or tea and writing about us on their blogs. It has been pretty amazing.